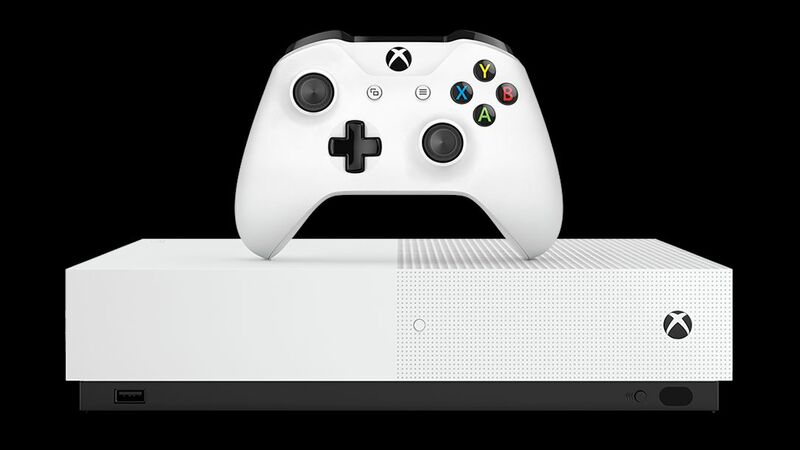 If the rumors didn’t give it away months ago, Microsoft has officially announced the All-Digital Xbox One S – a new 4K HDR streaming-capable console that doesn’t use discs or physical media of any kind. The All-Digital Xbox One S will be available globally starting on May 7, 2019 for $249 (around £190, AU$349) and joins Microsoft’s Xbox One family of consoles, allowing it to play the same games as the slightly more expensive Xbox One S.
To complement the system, Microsoft has also unveiled a new Xbox Game Pass Ultimate plan that combines both an Xbox Live Gold membership plus a membership to Xbox Game Pass for $14.99 per month, and will be available to all Xbox One owners. As before, you can still buy Xbox Game Pass separately for $9.99 and Xbox Live Gold for $9.99 per month, but this deal does save you 25%. The first bundle of the console that comes out on May 7 will include three games including Minecraft, Sea of Thieves and Forza Horizon 3… er, rather, the digital download codes for those games as, remember, there’s no disc drive.